Equipping a car, or a group of vehicles, via a Regular Production Option, or RPO, was commonplace in the post-war world of General Motors. For example, RPO and COPO (Central Office Production Order) were how ordinary sedans were turned into specially equipped vehicles for use by police departments, or by drag racers. By the 1960s, however, with General Motors officially out of auto racing, motorsports-oriented engineers and product planners were able to use the RPO system to provide knowledgable customers with a way to make their cars race ready. But if you really wanted to race against the likes of Carroll Shelby’s Ford-powered Cobra sports car and various European competitors, you also wanted to add option N03 to your order form. 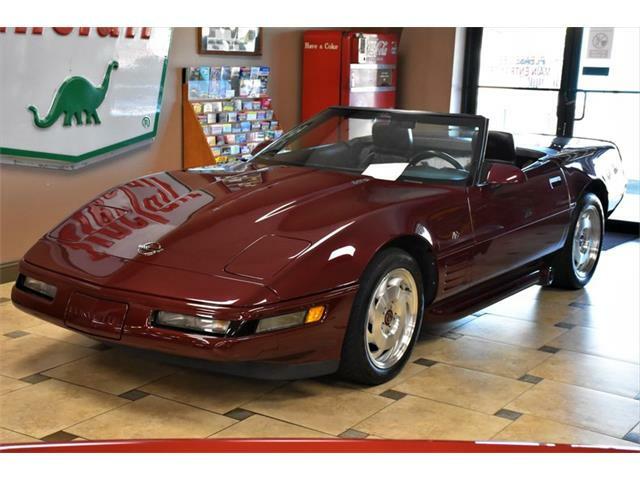 Standard Corvettes emerged from the St. Louis assembly plant with 20-gallon fuel tanks, but add N03 to Z06 and your Corvette came with a 36.5-gallon fiberglass tank. 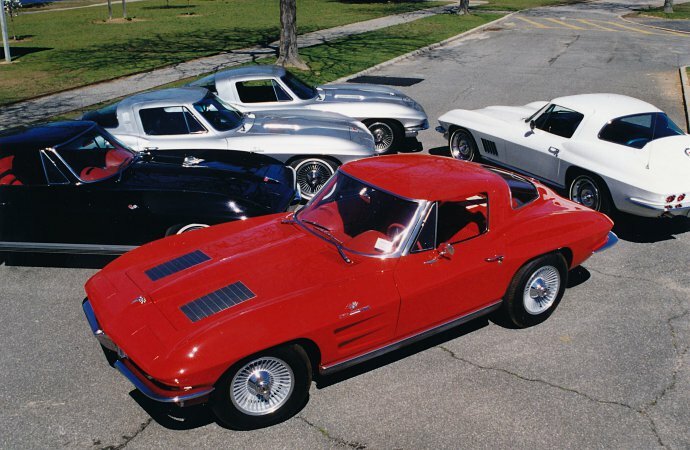 Such cars became known as the “Big Tank” Corvettes. These Big Tank ‘Vettes were built only from 1963 through 1967, and during that entire run, only 210 of them got such treatment. Interesting to note that there were 63 such cars for 1963 and 66 for 1966, though only 38 for 1964, 41 for 1965, and just 2 for 1967. 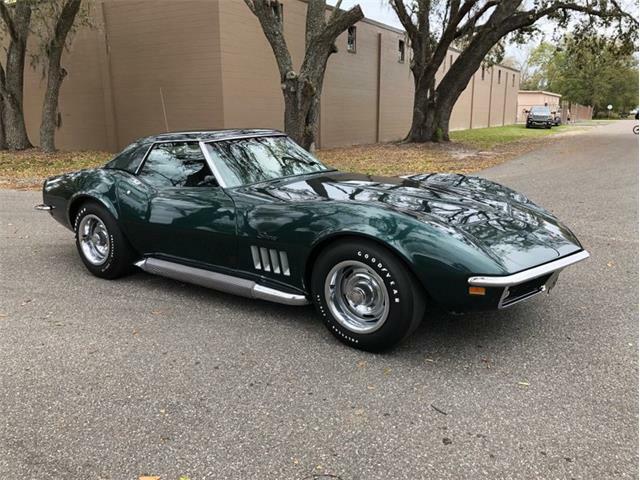 As if Corvettes aren’t cherished enough among car collectors, the rarity of the Big Tank cars makes them especially desirable, which brings us to Dana Mecum’s Original Spring Classic collector car auction, scheduled for May 15-20 at the Indiana State Fairgrounds. 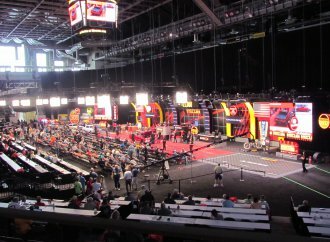 The docket for that auction includes the Richard Cohen Big Tank Collection, which Mecum says is the only such collection that includes one Big Tank car from each of the five model years. 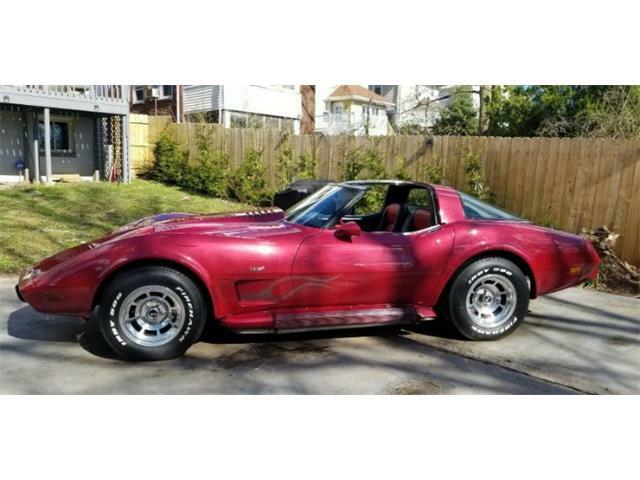 “The Big Tank or N03 Corvette has become exceptionally valuable to collectors, few of whom were as dedicated to collecting them as the late Richard Cohen, the founder of Long Island Corvette Supply in Copiague, New York,” Mecum notes in its auction catalog. 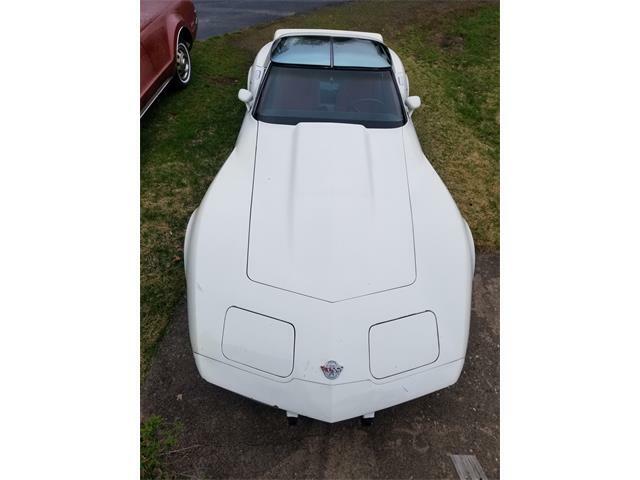 “One of the pioneering contributors to the Corvette restoration hobby that bloomed in the late 1970s, Cohen began to focus on collecting N03 Corvettes when he first learned of them in the early 1980s. 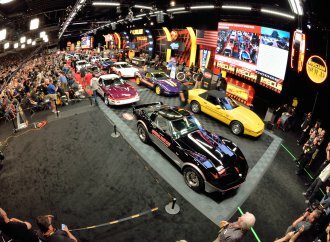 Although the cars will be offered individually, it should be interesting to see if a collector, or a group of collectors, finds a way to keep the collection together (might be nice grouping to donate to the National Corvette Museum, just sayin’). “Each of these Corvettes meets the highest standard of excellence in the restoration and preservation of the breed, and together they constitute a unique singularity in the Corvette community,” Mecum notes. 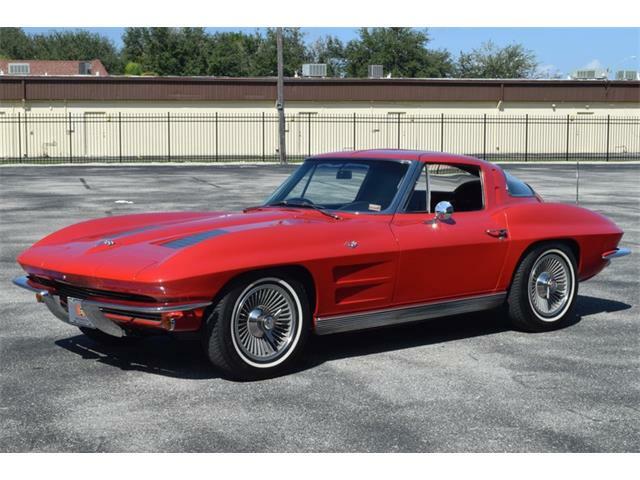 The 1963 coupe wears Riverside Red with red vinyl interior and was the second of the Big Tank cars that Cohen added to his collection. 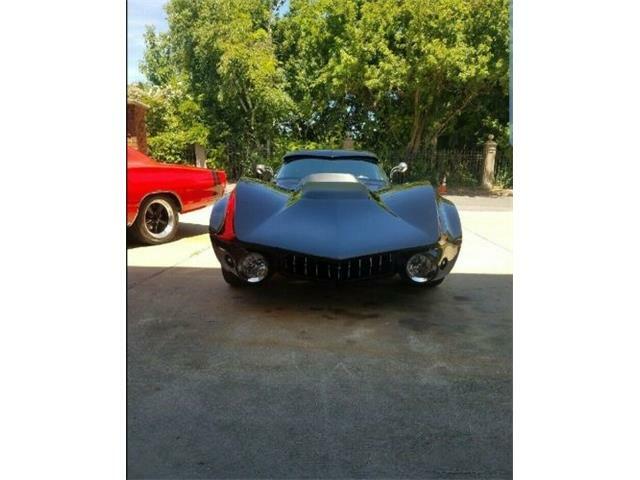 The car has the added feature of being a “split-window” coupe and has been accorded a pre-auction estimated value is $425,000 to $600,000. The 1964 coupe wasn’t ordered for racing but for comfortable long-distance travel. 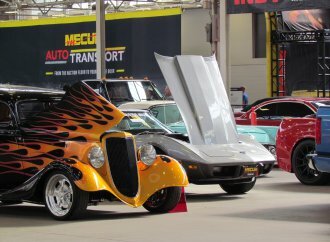 The original owner was a Texas ranch owner, Mecum reports. The car is in Tuxedo Black and has red vinyl interior. It’s pre-auction estimate is $250,000 to $300,000. 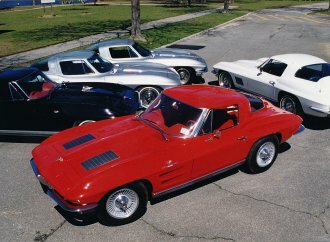 The 1965 coupe was the car that completed the collection. 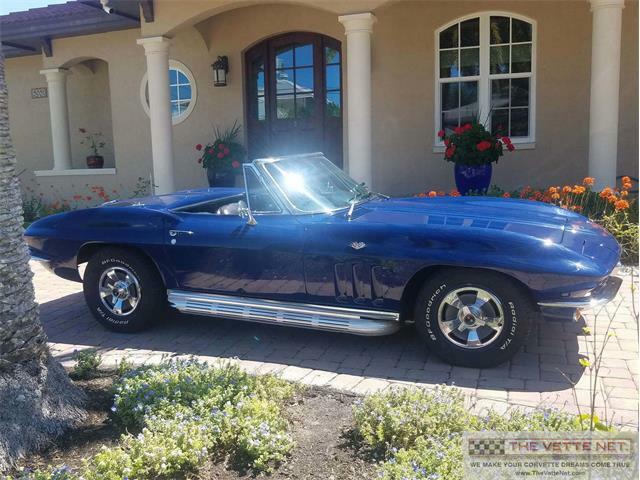 It is in Silver Pearl with black vinyl interior and has a 425-horsepower L78 396cid big-block V8, precursor to the L88 coming in 1967. 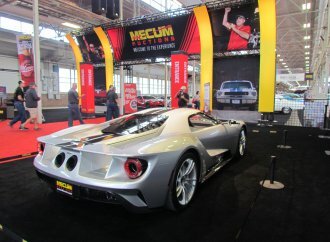 Pre-sale value is estimated at $325,000 to $450,000. The 1966 coupe was the first Big Tank car collected by Cohen. 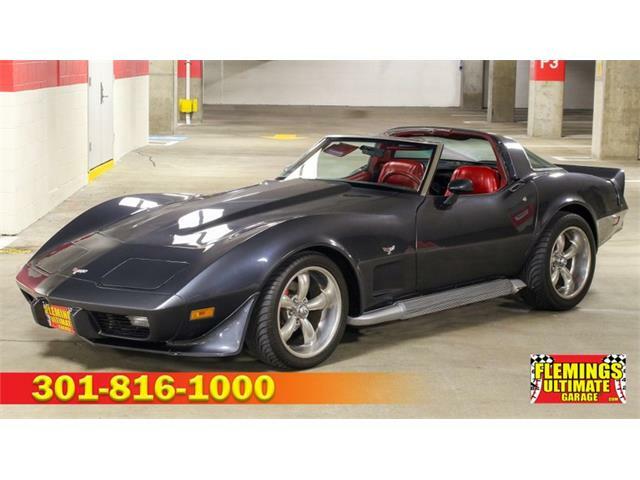 It is in Silver Pearl and carries an L72 427cid, 425-horsepower big-block V8 and N14 factory side exhaust. Pre-auction estimated value is $400,000 to $475,000. The 1967 coupe is a 1-of-2 car and is considered the crown jewel of Cohen’s collection. 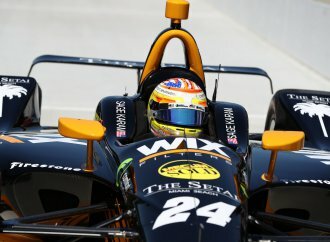 The reported reason for only two such cars being built for that model year? 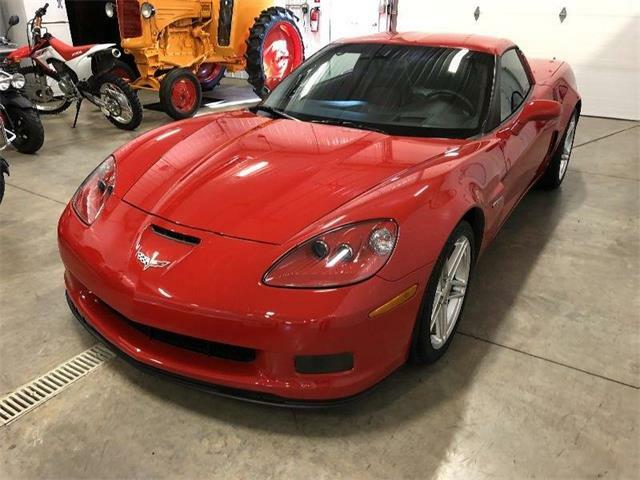 A new generation Corvette was coming and there were only two of the 36.5-gallon fuel tanks remaining, so only two cars could get them. Cohen obtained the car, which has an L79 327/350 V8, in 1988 and was its fourth owner. 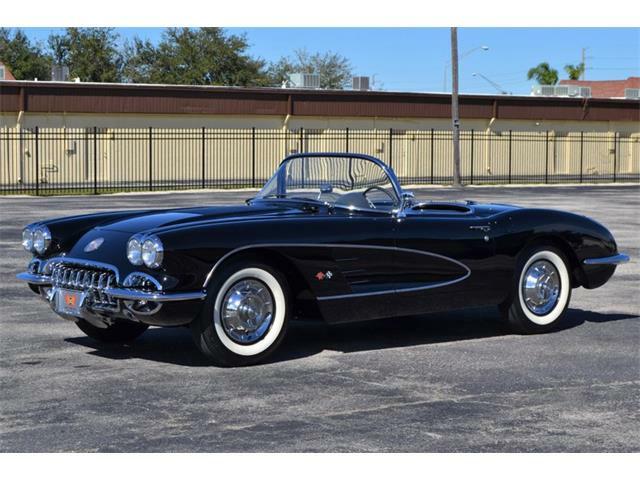 “It is possibly the most lavishly equipped of the collection, having been optioned with factory air conditioning, power steering and brakes, power windows, Soft Ray-tinted glass, whitewall tires, an AM/FM radio and the N03 fuel tank,” Mecum notes. The car, in Ermine White with Bright Blue interior, is valued at $475,000 to $650,000. Added together, the collection goes to auction with an estimated value of $1.875 million to $4.35 million. Was the spare tire well gone?